The US planemaker, Boeing and leasing specialist Air Lease Corporation delivered the first 737 MAX 8 for Cayman Airways on Thursday, November 29th, which is the first 737 MAX to enter service in the Caribbean. The new arrival marks the beginning of the airline's plans to modernise its fleet and expand its network. 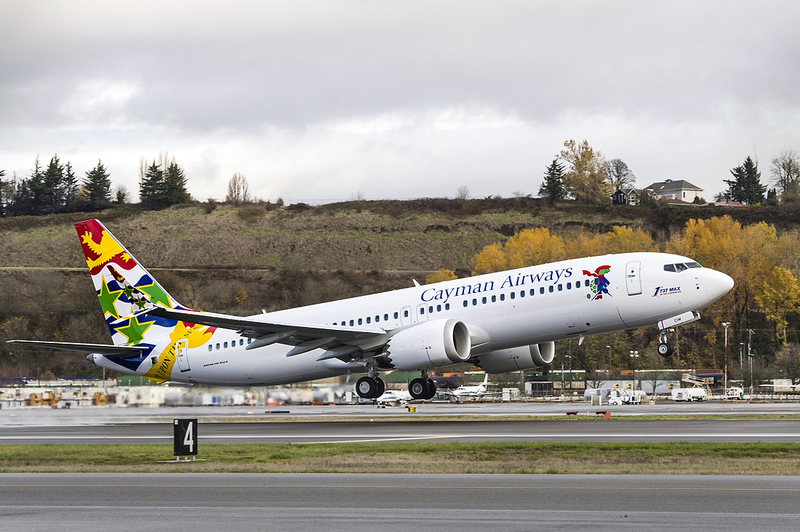 "Cayman Airways is able to achieve the highest levels of efficiency with the 737 MAX 8, along with unparallelled levels of reliability and comfort," said Cayman Airways President and CEO Fabian Whorms. "In addition, the MAX's incredible range opens up the potential for several new markets within the Americas.". Cayman Airways plans to take delivery of four MAX 8 aeroplanes to replace its fleet of 737 Classics. 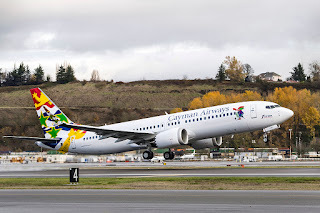 "ALC is pleased to announce this new Boeing 737 MAX 8 delivery with Cayman Airways today," said Steven F. Udvar-Hἁzy, Executive Chairman of Air Lease Corporation. "With this new MAX 8 and the additional three aircraft set to deliver from ALC, Cayman Airways is successfully modernising its fleet with the most technologically advanced, fuel-efficient aircraft to enhance the airline's overall operations, maximise customer comfort and bring a new standard of excellence for travelers to and from the Cayman Islands." "We are delighted to open a new chapter in our partnership with Cayman Airways and ALC, and bring the 737 MAX to the Caribbean," said Ihssane Mounir, senior vice president of Commercial Sales & Marketing for The Boeing Company. "The 737 MAX will help Cayman achieve significant improvement in performance and operating costs, while providing an even better flying experience for their passengers." To prepare for their new 737 MAX, Cayman Airways will train pilots at Boeing Global Services' Miami training campus. Under this agreement, Cayman will use Boeing simulators for its entire 737 fleet including 737 Classics and Next-Generation 737s.